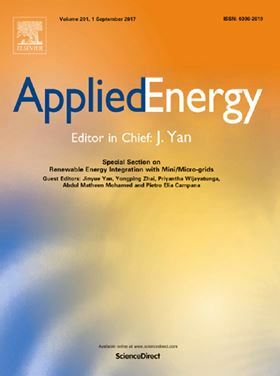 The research article 'DRFM hybrid model to optimize energy performance of pre-treatment depth filters in desalination facilities' has been published in Elsevier journal Applied Energy. Rapid depth filtration is the dominant pre-treatment technology in seawater desalination industry today. Optimizing the pre-treatment filter’s energy performance provides economies of scale in the total energy usage of desalination facilities on a broader sense. However, this objective remains difficult to achieve by far. In this study, we develop a numerical algorithm, termed as Dynamical Rapid Filtration Model (DRFM), to simulate the effective clogging dynamics occurring inside a depth filter which depends on a multitude of controlled and non-controlled operating parameters. DRFM quantifies the filtration kinetics with a modified Yao’s model to represent the particle removal mechanisms occurring within the simulated filter. A unique length scale is also introduced to account for the particle size effect on the filter’s energy loss rate incurred, i.e. its energy performance, during its effective filtration stage. Concurrently, we performed an experimental study with a lab-scale depth filter to develop a model equation for measuring its total contaminant mass removal rate (Rc) due to effective clogging conditions. For a predicted Rc transient profile, good agreement is obtained between the experimental results and predicted values from DRFM. We then extensively discuss on a novel DRFM hybrid model to optimize the filter’s energy performance which subsequently affects the filter’s optimized backwashing timing for achieving economies of scale. The simulation results from the hybrid model demonstrates on how various filter configurations can result in lower energy cost to effectively pre-treat each unit volume of intake seawater as compared to the current industrial average of 0.39 kWh/m3. Finally, we include a cost analysis to demonstrate on how the obtained economies of scale alleviates a portion of the total energy cost for each unit volume of desalinated water. The applications and performance of graphene-based separation membranes (GBSMs) are compared.